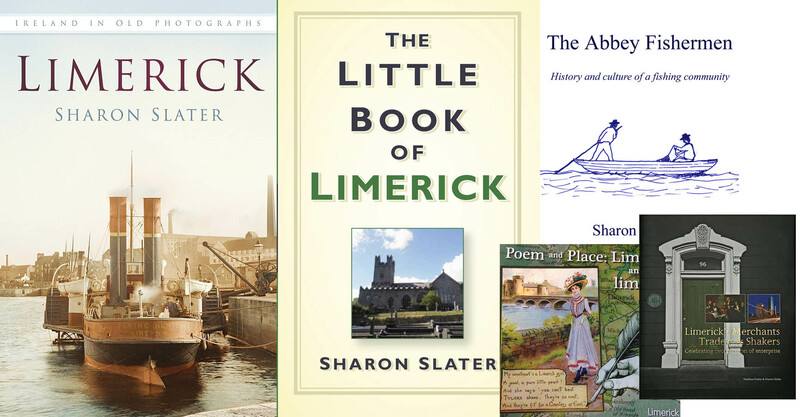 On February 26, 1841 the following notice was posted in the Limerick Reporter. 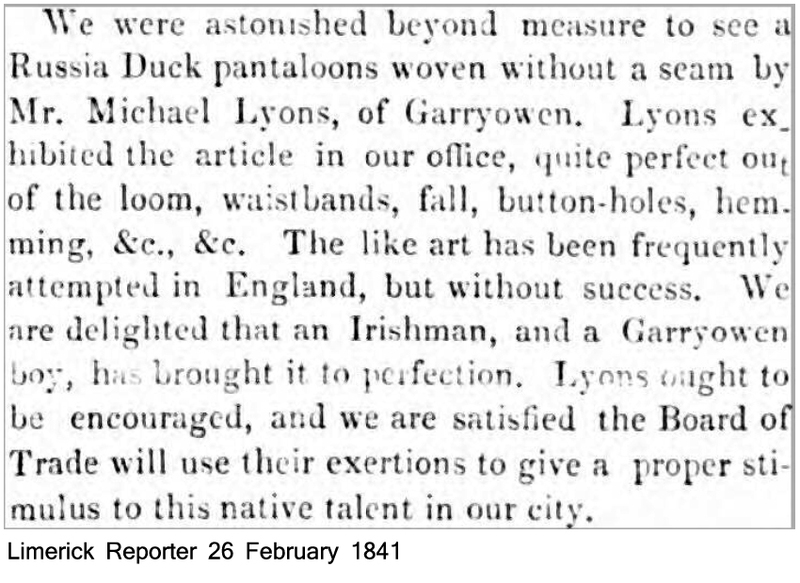 It detailed how Michael Lyons of Garryowen, had invented a seamless Russia Duck Pantaloon. The article goes on to detail the construction of these pantaloons. Russia Duck Pantaloons were often worn by the military in the early nineteenth century. In 1807 they were part of the standard issue clothing for each Sergeant, Corporal, Drummer and Private Man in the British Army. They were issued annually with: A coat, a waistcoat, a pair of blue cloth pantaloons and a pair of half boots. Every two years they would receive a cap.